Network Science, A Decade Later--the result of NSF-funded research that looked at the experiences of a set of science projects which use the Internet--offers an understanding of how the Internet can be used effectively by science teachers and students to support inquiry-based teaching and learning. The book emphasizes theoretical and critical perspectives and is intended to raise questions about the goals of education and the ways that technology helps reach those goals and ways that it cannot. The theoretical perspective of inquiry-based teaching and learning in which the book is grounded is consistent with the current discipline-based curriculum standards and frameworks. The chapters in Part I, "State of the Art," describe the history and current practice of network science. Those in Part II, "Looking Deeply," extend the inquiry into network science by examining discourse and data in depth, using both empirical data and theoretical perspectives. 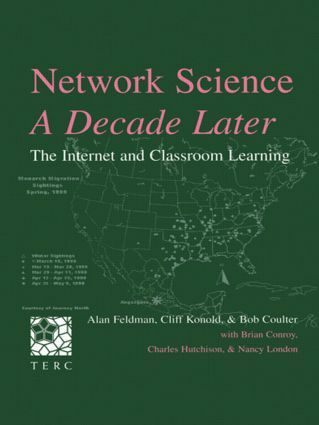 In Part III, "Looking Forward," the authors step back from the issues of network science to take a broader view, focusing on the question: How should the Internet be used--and not used--to support student learning? The book concludes with a reminder that technology will not replace teachers. Rather, the power of new technologies to give students both an overwhelming access to resources--experts, peers, teachers, texts, images, and data--and the opportunity to pursue questions of their own design, increases the need for highly skilled teachers and forward-looking administrators. This is a book for them, and for all educators, policymakers, students involved in science and technology education.